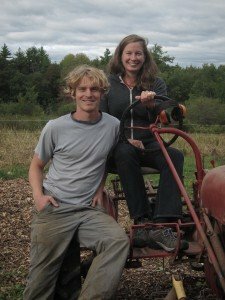 Jen Smith and Nate Frigard have been growing high quality organic produce on farms in Virginia, California and Massachusetts since 2003. They are trained as organic growers and share a love of the good, hard work of farming. They are both graduates of the Apprenticeship in Ecological Horticulture at the University of California at Santa Cruz and have worked on and managed community based and educational farms for the last eleven years. 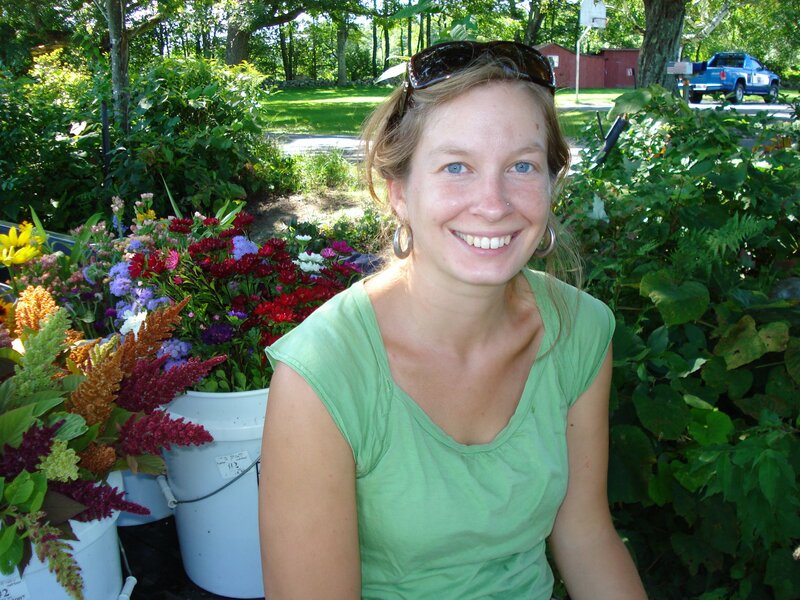 Jen first fell in love with farming while working at Wheatland Vegetable Farms outside of her native Washington, DC. 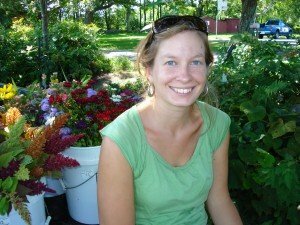 She is passionate about growing good food and beautiful flowers, beekeeping, and teaching folks to do all of the above. After a great four years of working to protect farm land at Mount Grace Land Conservation Trust, Jen now gets to work on the farm full time! Yippee! 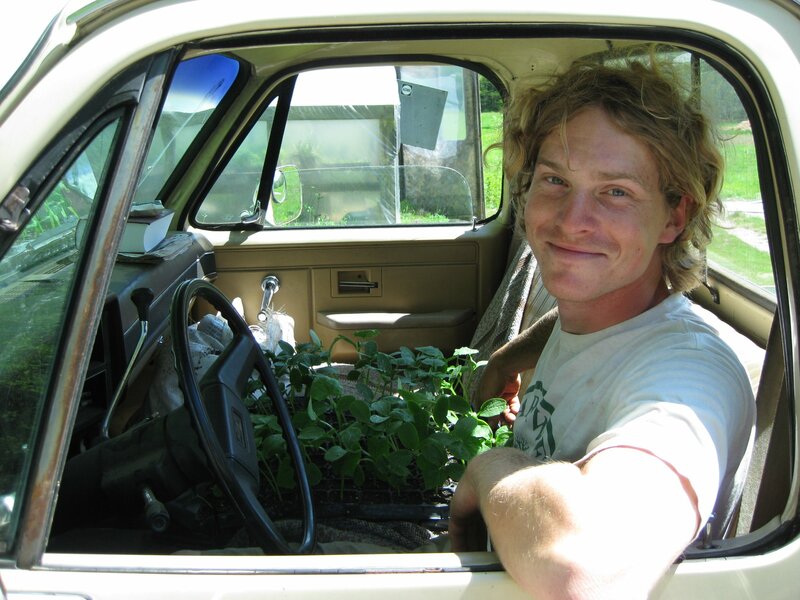 Nate brings a passion for growing beautiful food and sharing what he knows with others. Prior to starting Crimson & Clover Farm with Jen in 2011 he worked as the vegetable farm manager and teacher at The Farm School. When he’s not rooting for the local sports teams he can usually be found walking among the cover crops. Nate is excited to be a part of a farm that is rooted in community, food, beauty and fun! And he’s glad to be doing it in a rich and supportive community like Northampton.